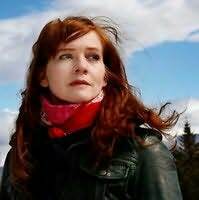 Auður Ava Ólafsdóttir was born in Reykjavík, Iceland, in 1958. She studied art history and art theory in Paris and is a lecturer in history of art at the University of Iceland and a director of the University of Iceland Art Collection. The Greenhouse, published in 2007 won the DV Culture Award for literature and a women's literary prize in Iceland, was nominated for the Nordic Council Literature Award and received unanimous acclaim. Auður Ava Ólafsdóttir lives and works in Reykjavik.